Alabama Library Association (ALLA) held a successful meeting in Gadsden, Alabama, to bring academic and public librarians in the State together. The theme of this year’s ALLA meeting was Libraries: Impossible. 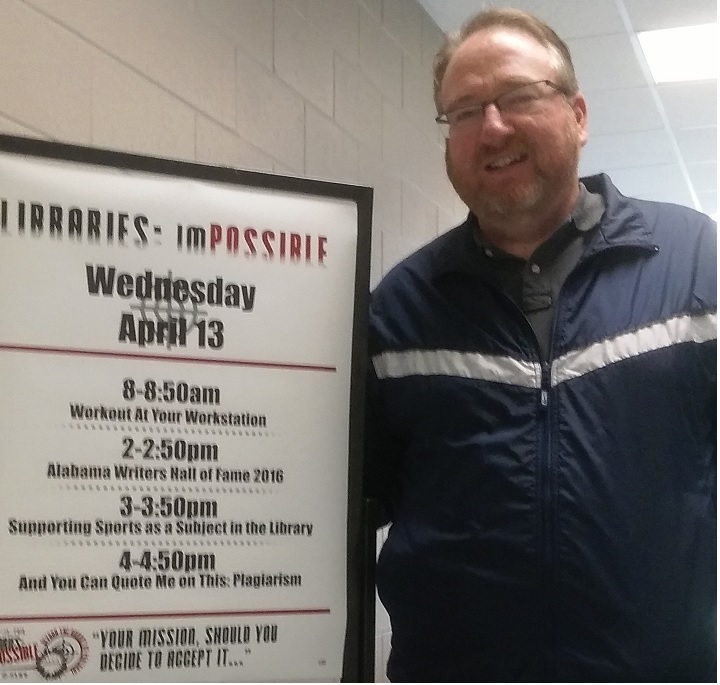 My presentation was “Supporting Sports as a Subject in the Library” and took place Wednesday April 13th, from 3-3:50pm in the University of Alabama, Gadsden Center. The presentation looked at the interdisciplinary area of sports as a library subject. I initially described the special sport mission of USSA and the unique nature of a stand-alone school of sports. To enhance this section I showed the YouTube video of the library in full. The focus of this presentation was in the multidisciplinary area of Sports: business, sciences, social sciences, and many others areas combined. How can libraries best support this growing interest area and academic discipline? Major topics were the interdisciplinary theme of sports research, key databases such as SportDISCUS, key publishers like Human Kenetics, key journals like the Sport Journal (published by USSA), & key references were included. Also, I discussed Olympic Research, Sport Associations, Pro Leagues, Players’ Associations, and CAS. The conclusion primarily dealt with dispute resolution with the Court of Arbitration for Sport (CAS) as a major subject focus.